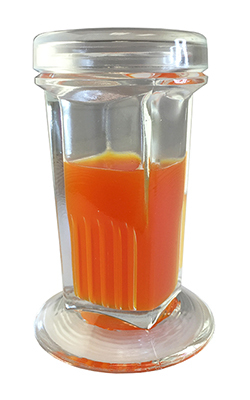 Pyrex® Glass Beakers are the standard for general laboratory use and can be used in ultrasonic cleaners. 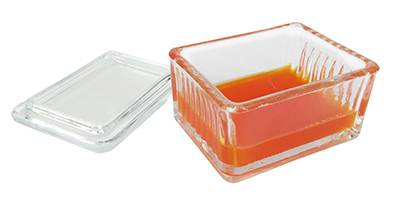 Pyrex® glass has excellent resistance to solvents and most acids. Not for use with heavy or sharp objects. 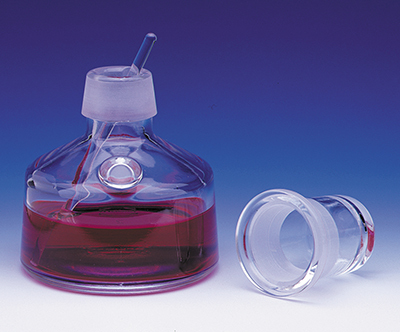 Beakers feature easy pour lid. 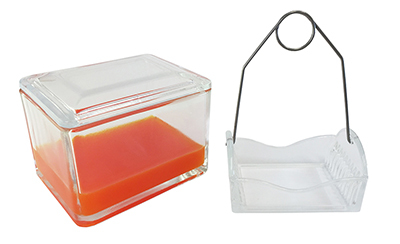 Use Glass Microbeakers for liquid evaporation, micro sample weighing, sample collecting, and storage applications. Samples can be viewed visually or with stereo and low power microscopes in shallow Microbeakers. 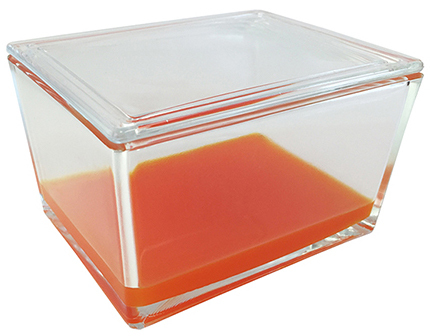 Also can be used as petri dish, micro container for any protocol or micro sample processing not requiring thermal shock resistance. 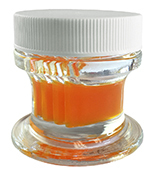 Sizes 0.5 - 7.5ml. Sold in packages of 12. 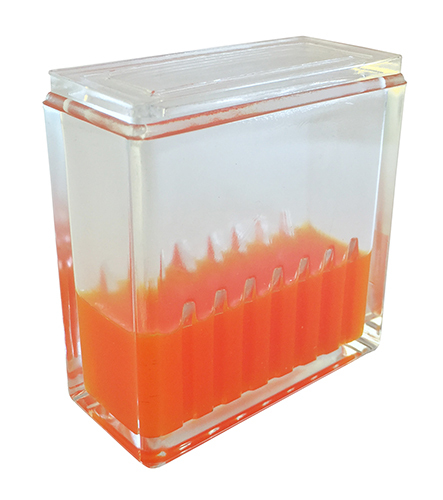 Atomizes very small aqueous volumes to provide distribution of suspensions, particulates, etc., for detailed examination. 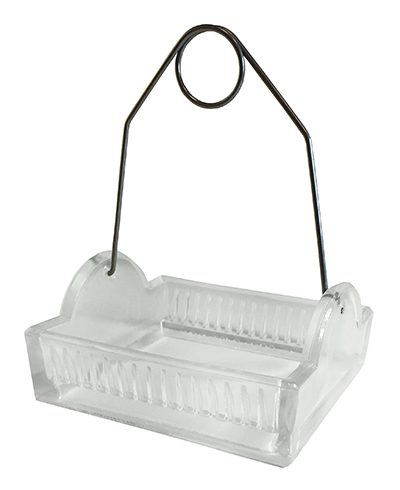 In EM work a grid is held vertically before the Nebulizer outlet and a flexible bulb is squeezed to create a fine spray. 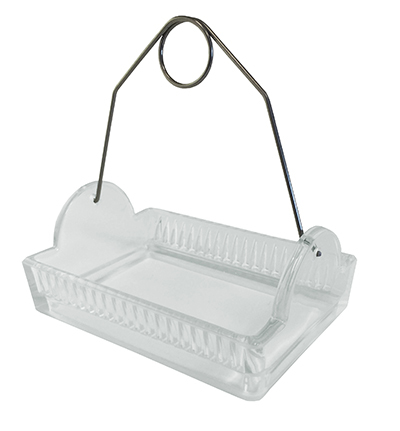 The all-glass design permits proper cleaning and sterilization. Instructions are included. 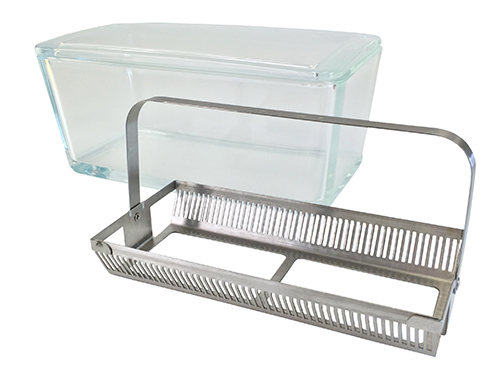 Excellent for immersion oil and general lab use. 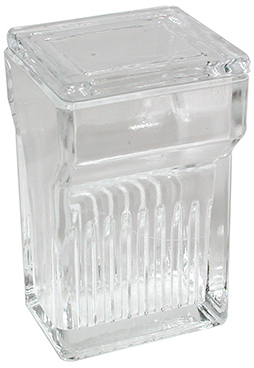 Square shaped clear flint glass bottles with glass dropper and rubber bulb stopper. 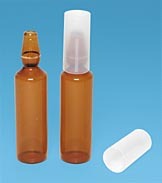 Capacity 30ml. Replacement droppers and bulbs also available. Straight tip. Constriction near mouth to retain cotton plug. Ends square cut. 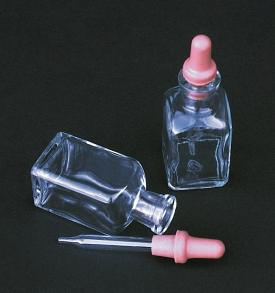 A simple way to break pre-scored ampoules safely. Takes 5, 7, and 10ml ampoules. Reduces injury and spillage. Made from soft silicone. 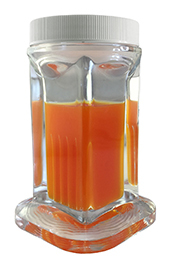 Slip the Ampoule Cracker over the top of the ampoule at the prescored portion, press on collar to snap off the top. 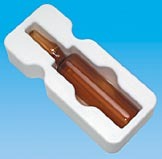 Discard the top along with the Ampoule Cracker (using proper safety precautions for hazardous waste disposal). 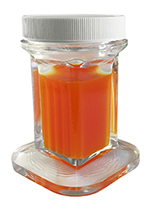 The Ampoule Cracker not only has applications for Electron Microscopy, but also for Blood Gas Reagents, Pharmaceuticals, Electrolyte and Flame Standards, Anesthesiology Solutions, Nursing and Manufacturing. Useful anywhere ampoules need to be opened. Patent pending. Available in three sizes. Sold in packs of 100.